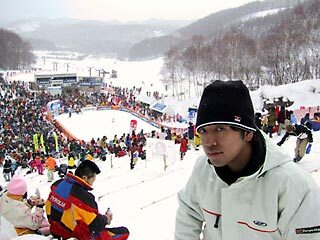 I watched a game of Freestyle FIS World Cup Moguls in Iizuna. "Tae Satoya Mogul Course" where this was a meeting place of Nagano Olympics. It was overwhelmed in speed and height of air.